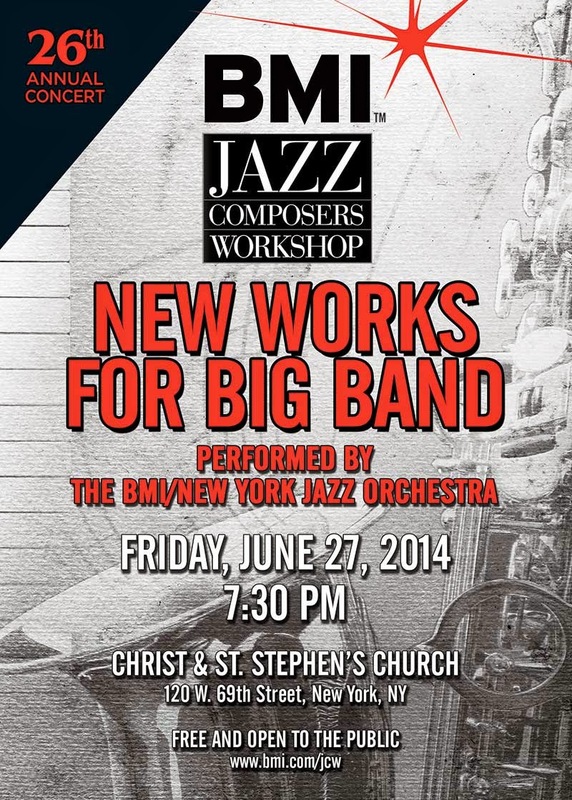 The BMI Jazz Composers Workshop 26th annual Summer Showcase Concert will take place this Friday, June 27, at 7:30 at Christ-St. Stephens Church in NYC (see attached). This year we are featuring new music for big band written by eight members of the workshop: Migiwa Miyajima, Anna Webber, Tom Erickson, Scott Ninmer, Earl MacDonald, Ann Belmont, Scott Reeves, and Miho Hazama. In addition we will hear the premier of "...and the Tire Swing Keeps Spinning...", composed by Erica Seguine, last year's winner of the BMI/Charlie Parker Composition Award. A panel of judges: Darcy J. Argue, John Fedchock, and Ingrid Jensen, will choose this year's winning piece. Admission is free.